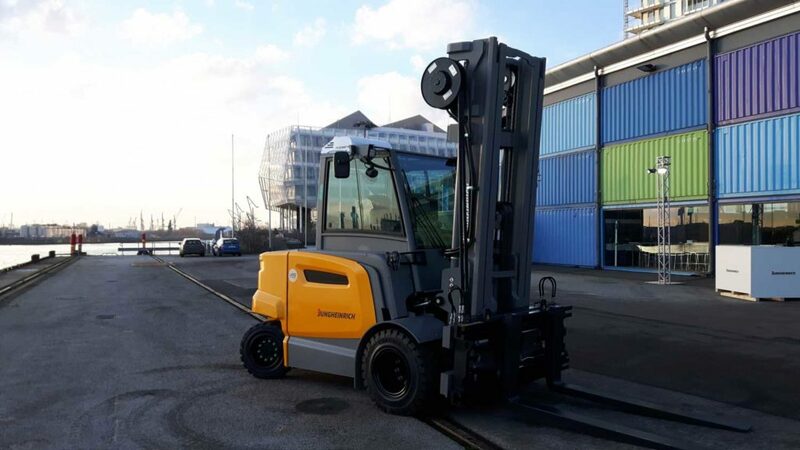 Jungheinrich is improving material handling operations with the arrival of a trio of complementary vehicles. 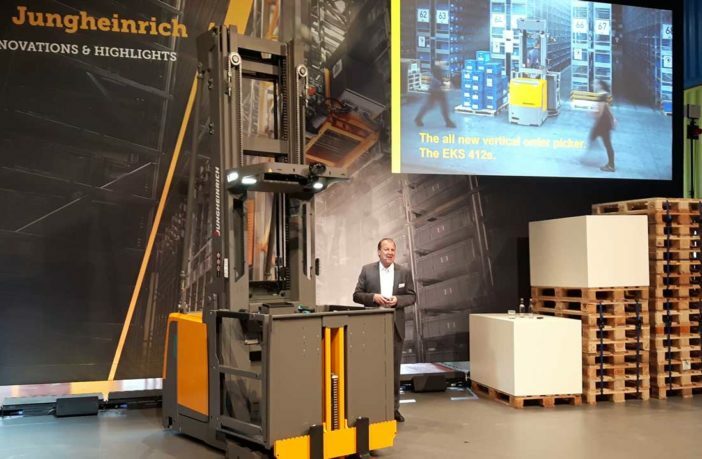 The EFG Series 6 heavy-duty electric forklift, the EKS 412s vertical order picker and the ERC 216zi pallet handler, have been unveiled at a press event – attended by iVT – at the company’s base in Hamburg, Germany, this week. 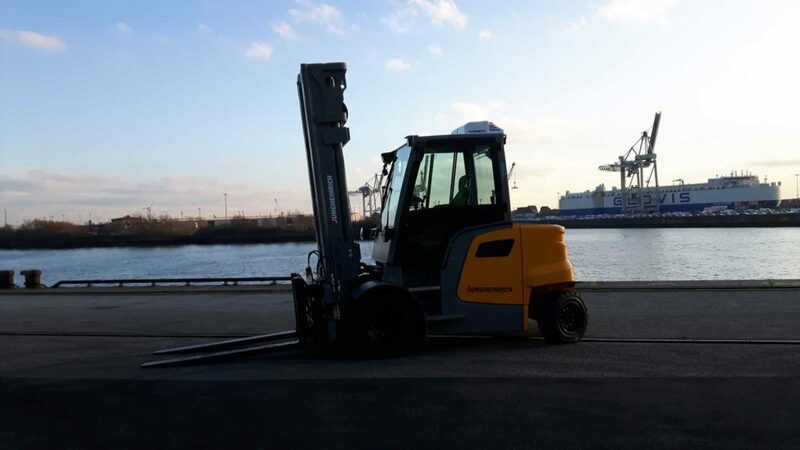 Previously Jungheinrich had only developed electric forklifts up to 5 tons, but the company’s new Series 6 range meets the needs of heavier and more extreme applications as it covers the 6-9 ton market. Standard versions of the vehicle are available with a lead acid battery offering 1240-1376Ah and 1395-1548Ah of battery time respectively, however a lithium-ion option is also being made available that offers 1250Ah. The EKS 412s was designed with the demographic changes in society in mind. Given the older working population, the machine has been developed to be a more pleasant environment to be in for long periods of time. 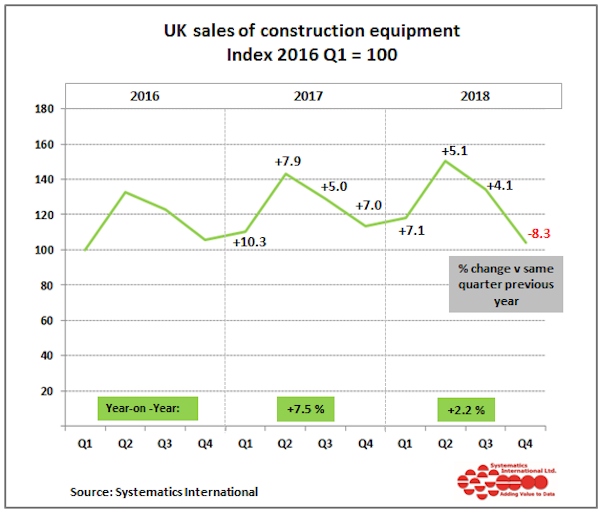 A second issue is the growing need for machines to reach higher as land becomes more expensive due to increased urbanization across the globe. In addressing these challenges, the ergonomics on the vertical order picker have been improved, with the controls more adjustable to operator requirements than rivals on the market, and a 15% higher picking capacity to 40m and a lift speed 35% faster than currently available have been introduced. 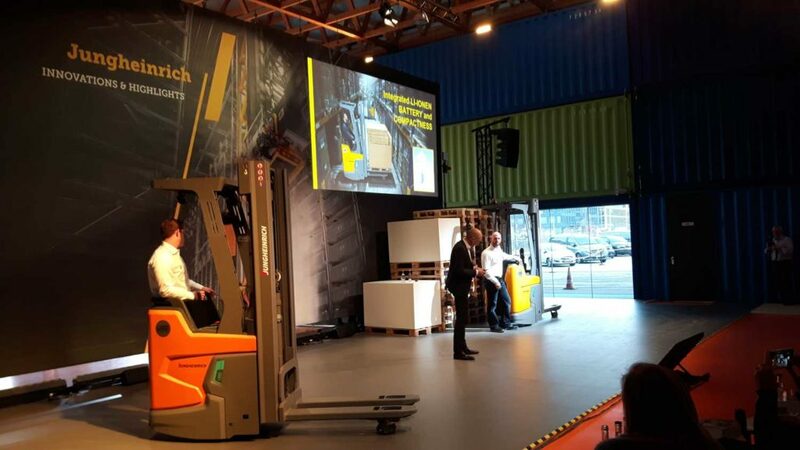 The ERC 216zi, also presented to the audience, comes with a roof – a feature unique to the vehicle in the pallet handler market. 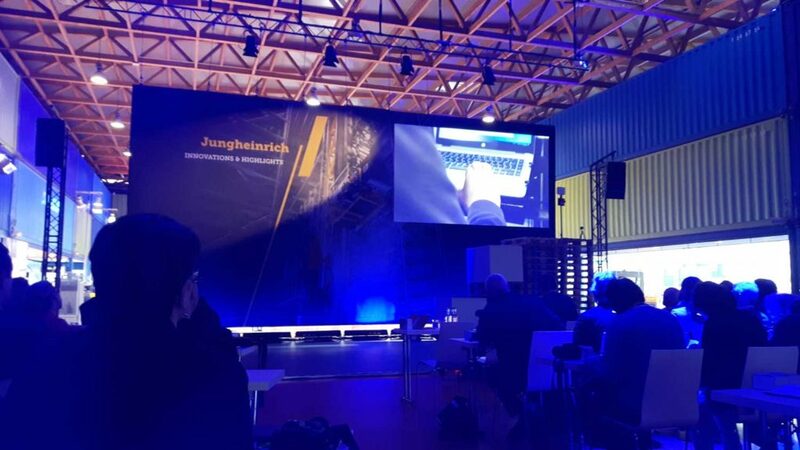 Reducing the dimensions of a vehicle that will be used in narrow aisles was a key target for engineers and the ERC 216zi is 7in shorter than comparison models – something that Jungheinrich board member for marketing and sales Christian Erlach, described as a “quantum jump”. 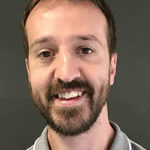 “Sometimes you have to take a completely different approach and that is exactly what we have done with the ERC 216zi. 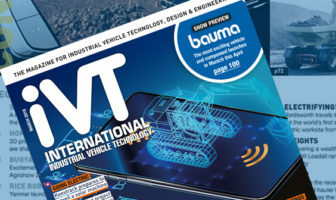 The built-in lithium-ion battery creates a revolutionary vehicle design and being ultra-compact it is the perfect truck in narrow warehouse environments where our customers still need to reach significant heights,” Erlach said. In the operator space, the vehicle now includes operational controls that can be performed with a single hand – left or right – while the vehicle also includes a new battery plug and charging position for smoother and safer charging experiences.